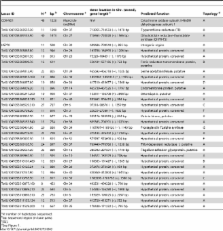 BackgroundThe genetic diversity of Trypanosoma cruzi, the etiological agent of Chagas disease, has been traditionally divided in two major groups, T. cruzi I and II, corresponding to discrete typing units TcI and TcII-VI under a recently proposed nomenclature. The two major groups of T. cruzi seem to differ in important biological characteristics, and are thus thought to represent a natural division relevant for epidemiological studies and development of prophylaxis. To understand the potential connection between the different manifestations of Chagas disease and variability of T. cruzi strains, it is essential to have a correct reconstruction of the evolutionary history of T. cruzi.Methodology/Principal FindingsNucleotide sequences from 32 unlinked loci (>26 Kilobases of aligned sequence) were used to reconstruct the evolutionary history of strains representing the known genetic variability of T. cruzi. Thorough phylogenetic analyses show that the original classification of T. cruzi in two major lineages does not reflect its evolutionary history and that there is only strong evidence for one major and recent hybridization event in the history of this species. Furthermore, estimates of divergence times using Bayesian methods show that current extant lineages of T. cruzi diverged very recently, within the last 3 million years, and that the major hybridization event leading to hybrid lineages TcV and TcVI occurred less than 1 million years ago, well before the contact of T. cruzi with humans in South America.Conclusions/SignificanceThe described phylogenetic relationships among the six major genetic subdivisions of T. cruzi should serve as guidelines for targeted epidemiological and prophylaxis studies. We suggest that it is important to reconsider conclusions from previous studies that have attempted to uncover important biological differences between the two originally defined major lineages of T. cruzi especially if those conclusions were obtained from single or few strains. Trypanosoma cruzi is the protozoan parasite that causes Chagas disease, a major health problem in Latin America. The genetic diversity of this parasite has been traditionally divided in two major groups: T. cruzi I and II, which can be further divided in six major genetic subdivisions (subgroups TcI-TcVI). T. cruzi I and II seem to differ in important biological characteristics, and are thought to represent a natural division relevant for epidemiological studies and development of prophylaxis. Having a correct reconstruction of the evolutionary history of T. cruzi is essential for understanding the potential connection between the genetic and phenotypic variability of T. cruzi with the different manifestations of Chagas disease. Here we present results from a comprehensive phylogenetic analysis of T. cruzi using more than 26 Kb of aligned sequence data. We show strong evidence that T. cruzi II (TcII-VI) is not a natural evolutionary group but a paraphyletic lineage and that all major lineages of T. cruzi evolved recently (<3 million years ago [mya]). Furthermore, the sequence data is consistent with one major hybridization event having occurred in this species recently (< 1 mya) but well before T. cruzi entered in contact with humans in South America. Background The evolutionary analysis of molecular sequence variation is a statistical enterprise. This is reflected in the increased use of probabilistic models for phylogenetic inference, multiple sequence alignment, and molecular population genetics. Here we present BEAST: a fast, flexible software architecture for Bayesian analysis of molecular sequences related by an evolutionary tree. A large number of popular stochastic models of sequence evolution are provided and tree-based models suitable for both within- and between-species sequence data are implemented. Results BEAST version 1.4.6 consists of 81000 lines of Java source code, 779 classes and 81 packages. It provides models for DNA and protein sequence evolution, highly parametric coalescent analysis, relaxed clock phylogenetics, non-contemporaneous sequence data, statistical alignment and a wide range of options for prior distributions. BEAST source code is object-oriented, modular in design and freely available at under the GNU LGPL license. Conclusion BEAST is a powerful and flexible evolutionary analysis package for molecular sequence variation. It also provides a resource for the further development of new models and statistical methods of evolutionary analysis. Conceived and designed the experiments: CAM. Performed the experiments: CF-L. Analyzed the data: CF-L CAM. Contributed reagents/materials/analysis tools: CAM. Wrote the paper: CF-L CAM. Copyright statement: Flores-López, Machado. This is an open-access article distributed under the terms of the Creative Commons Attribution License, which permits unrestricted use, distribution, and reproduction in any medium, provided the original author and source are credited. Molecular identification and genotyping of Trypanosoma cruzi DNA in autochthonous Chagas disease patients from Texas, USA.